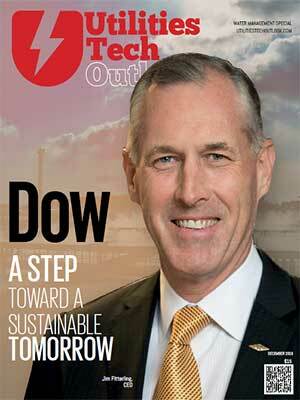 Declining water quality has become a global concern today. It can directly influence the cost of providing water for utilities, reduce the volume of water available for use, and indirectly affect human health. Driven by these impediments, it is now imperative to implement digital solutions to improve operations and efficiency of water usage, as well as build the right organisation and processes to improve its quality. For water utilities, the emergence of smart water tech providers and Internet of Things (IoT)-related devices offers ample opportunities to increase resilience and streamline operational performance. Together with that, data-driven insights are showing a great potential to transform the way consumers, government and utilities think about water as a resource and how the industry plans, invests and manages water infrastructure for the future. While there are many exciting developments in the water sector to look out for in the future, 2018 had been the year for some of the most prominent improvements in the water management sector. This year, the global irrigation industry went through a massive transformation with the help of technology, widely known as precision or “smart” irrigation. By adopting smart irrigation technologies, farmers can maximize yield rates by pinpointing where and when to irrigate through sensors or water flow controllers. This current $8.34 billion market will likely generate increased interest in the coming year. Adjacently, the water sector also saw a rising trend of real-time water quality monitoring. Utilities can proactively manage and avoid potential threats through real-time water quality monitoring. In 2019, an increased emphasis will be placed on the need for such solutions to ensure water network security. 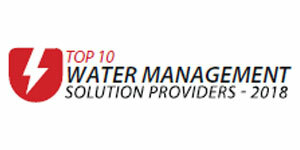 In the light of this, a distinguished panel comprising CEOs, CIOs, CTOs, and analysts including the Utilities Tech Outlook’s editorial board has evaluated and selected the leading water management solution providers that have in-depth expertise and are at the forefront of redefining the traditional water quality management methodologies. SAYA Life For individual residences and multi-unit buildings and communities, Saya Life deploys an accurate, affordable system to monitor consumption, leaks and pipe bursts, and automatically shuts off the water to prevent property damage and insurance claims.